In the weeks leading up to it JAMPRO (a government agency whose role it is to promote trade and investment), promised that Kingston would come alive with the Jamaica Film Festival (JaFF) (July 7 – 11, 2015), “a dynamic cinematic and cultural event, featuring both local and international movies” and showcasing “the talents of the best and brightest in the Jamaican film industry.” Instead the highly hyped film festival, though occasionally (and quite erratically) hitting the mark, was largely a damp squib of an event, marred by shoddy programming, less than ideal venues and a complete failure to keep to schedule. Just as with the JCDC’s Independence Gala of Galas (which according to the media failed to live up to its billing though JCDC’s Director and the Minister of Culture both deemed them more than satisfactory) JAMPRO and the Film Commissioner have declared the film festival a great success. Of course organizers of events (much like fond mothers) are notoriously, perhaps even wilfully, blind to the faults and shortcomings of their progeny but when public money and time are involved it becomes imperative that we demand not only accountability but best practices from those responsible for spending both. While the media raised questions about the quality of the Grand Gala it completely failed to do so regarding the inaugural Jamaica Film Festival, even lending itself to the myth of the event’s success. This needs explanation. The Gala is reputed to have cost $47 million dollars to mount and though exact figures are unavailable the sum of $39 million was being bandied about as the sum needed to mount the Film Festival. It is unclear how much of this was to come from JAMPRO and how much from private sector sources or even how much of the desired total was raised. I’m sure some of the glitches experienced during JaFF may be attributable to funding that failed to materialize but others could have been avoided had a different mindset been adopted. Not everything is dependent on money–good planning, innovative programming, keeping to schedule, targeting audiences to ensure attendance–these are things that can be done even on a shoestring budget. For starters, even though Jamaica is officially entering the film festival circuit rather late (Trinidad celebrates its 10th edition next week) Festival planners failed to make use of the many templates for successful film festivals that already exist. Not only that, the organizers failed to grasp the basic fact that a film festival is about films–that films, actual films or movies—are, and should be, at its epicentre. Regrettably films were an afterthought at the Jamaica Film Festival. One searched the JIS press releases in vain for any mention of the films to be screened. If you went to the festival website and clicked on ‘Schedule’ what you got is the programme of industry workshops and seminars that usually are a subsidiary offering at film festivals (while the workshop schedule was well laid out and readable the film schedule when you finally found it was poorly designed and impossible to read on any device even a desktop). Maybe JAMPRO was trying to break the established mold and come up with its own path breaking product on its maiden venture into film festival land but what JaFF turned out to be, was actually a series of how-to talks, workshops and panel discussions on film and TV production with a random selection of–mostly short–films thrown in for good measure. Thus most reputable film festivals put films at the front and centre of their annual events using the opportunity to showcase new and innovative offerings particularly ones that have some connection to the location of the festival. A film such as Destiny which had already played in the theatres here (and which was panned by critics) would not have been included in the programming which would have been reserved for new films or outstanding films that had not yet been shown in local theatres. TTFF follows the standard format for film festivals showcasing new material and a choice selection of older classics chosen for their outstanding qualities. “There is enough good work from the entire Caribbean and the Diaspora to ensure a quality lineup of films every year,” said a spokesperson for the Trinidad and Tobago Film Festival (TTFF). The Jamaica Film Festival seems to have relied exclusively on submissions to its competition, designed mainly for new and upcoming film-makers, for its programme. The lack of a filmic intelligence at work to curate a compelling lineup was palpable, for in addition to submissions by aspiring filmmakers, there are films by established, even celebrated directors, that must be curated into the mix as examples of filmmaking taken to its acme, its most creative. If such films in addition to being excellent also happen to have a local connection, why then the stars are all aligned for the work to not only be included in the offerings but to have top billing. …the overriding impression left by The Stuart Hall Project is of a sparkling meeting of minds and creative disciplines orchestrated by one of our most gifted non-fiction filmmakers. So outstanding is John Akomfrah’s work as a film director (He was also Governor of the Board of the British Film Institute for several years and is generally considered a stalwart of Black British Cinema) that the TTFF headlined him as a special guest in its 2013 edition. The festival events come to a close with a retrospective of the films of John Akomfrah hosted by Dr Gabrielle Hezekiah. Several of the acclaimed director’s works will be screened, including his newest film The Stuart Hall Project. Akomfrah himself will attend the retrospective and will discuss his career and films with Dr Hezekiah. You would have thought that a film featuring the most distinguished intellectual Jamaica has produced (that even Trinidad considered important enough to feature. Storm Saulter, one of Jamaica’s best young directors who was conspicuous by his absence from the JaFF told me he was astonished to learn of Stuart Hall at the TTFF which he attended as a representative of New Caribbean Cinema), itself the creation of one of the most creative directors would have been high on the list of the artistic or programming director of the inaugural JaFF. But alas my most fervent efforts to interest the JaFF in premiering The Stuart Hall Project in Jamaica came to naught. Although the Film Commissioner, Carole Beckford, agreed to include the film in the JaFF line up, even featuring it on its programme, she only contacted the producer of the film on June 23rd, a mere two weeks before JaFF to make arrangements to acquire the necessary permissions and a copy to be shown at the Festival. …it’s been a hard slog, five years of our lives trying to get this film made, trying to raise money to make a film on a Jamaican intellectual/cultural theorist is not easy by any stretch of the imagination, we did it out of our respect for him and wanting to place Jamaicans on the map in this vital and import arena and it’s baffling when we are treated in this manner, especially for me as a person of Jamaican heritage. After much discussion here we will give permission for the screening as long as it’s not screened on dvd! I am waiting for screening formats – I do not think they realise just how much damage they have done by doing things in this manner- The Stuart Hall Project has agents, distributors – all of which I will have to smooth over – anyway let’s see what happens from here on… it saddens me that this has happened this way — but we have agreed only because of Stuart and a wish he made for it to been seen there. Despite the express wishes of the film-makers that DVD was not an acceptable format the organizers were scrambling to find a DVD copy the evening before the film was to be screened (I even received a call the night before from the Film Commissioner asking if I had a copy) which needless to say did not materialize. No explanation or apology was offered for the non-showing nor was any announcement made to let attendees know that the film, although on the schedule, was not actually going to be screened. I had to personally inform parties who were asking for details on Twitter and Facebook, about the no-show. “Film is a business. Players must understand the business behind the creativity, and that is why we have organised a really serious film festival. The creative side is not enough, what must happen is a full understanding of the industry to create long-term businesses,” she told the Jamaica Observer. She said stakeholders must make themselves professional in order to create world-class standards. She further said an understanding of distribution, copyright, and intellectual property issues are also critical in moving the industry forward. Yes, an understanding of distribution, copyright, and intellectual property issues are indeed critical but there was little evidence of this in the manner in which films were programmed and shown at the JaFF. What JaFF badly needed was a programming director or someone with a deep knowledge of film and film culture to curate a compelling selection of films and ensure that industry protocols were followed in acquiring them. To have spurned or dropped through sheer carelessness, two films such as The Stuart Hall Project and Perry Henzell: A Filmmaker’s Odyssey, the latter about the pioneer of film in Jamaica, which would have anchored the inaugural edition of JaFF most memorably, is baffling to say the least. For reasons best known to itself JAMPRO seems to have left the planning and execution of this important festival up to one individual—the film commissioner– who with the best will in the world was not equipped to deliver a high quality film festival on her own. Any successful festival whether film or literary or musical requires teamwork. The point of having a competent team, including a programming director or committee, is precisely to avoid limiting a festival to the conceptual map or limited resources of any one individual. Carole Beckford, the film commissioner, is not known to have a background in film. Her specialty is public relations—most famously she was for a time Usain Bolt’s publicist. The appointment of an outsider to the industry, and one with so little experience or knowledge of film as film commissioner was a move that JAMPRO should be asked to explain. Predictably it offended the Jamaican film-making community who turned their backs on the Commissioner and her film festival. Thus even though Beckford managed to pull together quite an impressive array of workshops and seminars, tapping Black Hollywood (such a pity Black British Cinema wasn’t also seen as a resource) for industry professionals, some of whom delivered good sessions, the turnout was sparse and the effort somewhat wasted because the film industry by and large stayed away and the students who could afford the steep ticket prices were few and far between. Sessions often started more than an hour late while organizers waited in vain for crowds to turn up. In some instances JAMPRO staff were asked to fill the seats so that the Courtleigh Auditorium could give an appearance of decent attendance. Interestingly JAMPRO and the film commissioner did borrow certain features of standard film festival templates (although you might argue these were much less crucial or necessary components than the basic one of putting films at the centre of the film festival). So for instance there was a very large media launch, a grand invitiation-only opening ceremony, a glitzy after-party and a uniformly high price of entry to attend workshops and films of variable quality, with unpredictable timing and location. These are all elements that would have made sense if the festival was a top class, streamlined, beautifully executed one but a little ‘previous’ for a brand new festival stumbling its way into being. But this… might not have been the general consensus. I was mostly grateful for the new experience. The prices, like the staircase leading to the screening area, were noticeably steep. The theatre itself, from what I was able to observe, had many vacant seats during the workshops. Perhaps some more university/film students could have benefited from the gathering if there was a special offer in place for them. I had been eagerly anticipating the Derek Walcott film by Ida Does, and The Stuart Hall Project by John Akomfrah. However, to the best of my knowledge, neither of these films were screened at their scheduled times. I actually believe that screening The Stuart Hall Project would’ve been an amazing act considering the ignorance of many Jamaicans of Stuart Hall’s very existence. I actually came to know of him by means of your blog. I then went on to read his work, and watched and listened countless video and audio of him. My personal favorite is his interview with the BBC’s Desert Island Discs…Anyway, my point is that this was a great opportunity that was missed. As for the cost, I believe Demi’s quip about the staircase is the best way to characterize it. If it were not for Dr. Wood’s offer to share her tickets, I would not have decided to attend. Moreover, Demi and I both purchased tickets for the Thursday screenings (we couldn’t share the tickets that night because Dr. Wood was in attendance), and as I mentioned, the only reason I chose that night was because of the two aforementioned films. Do I feel as though it was a waste of money? Not at all. 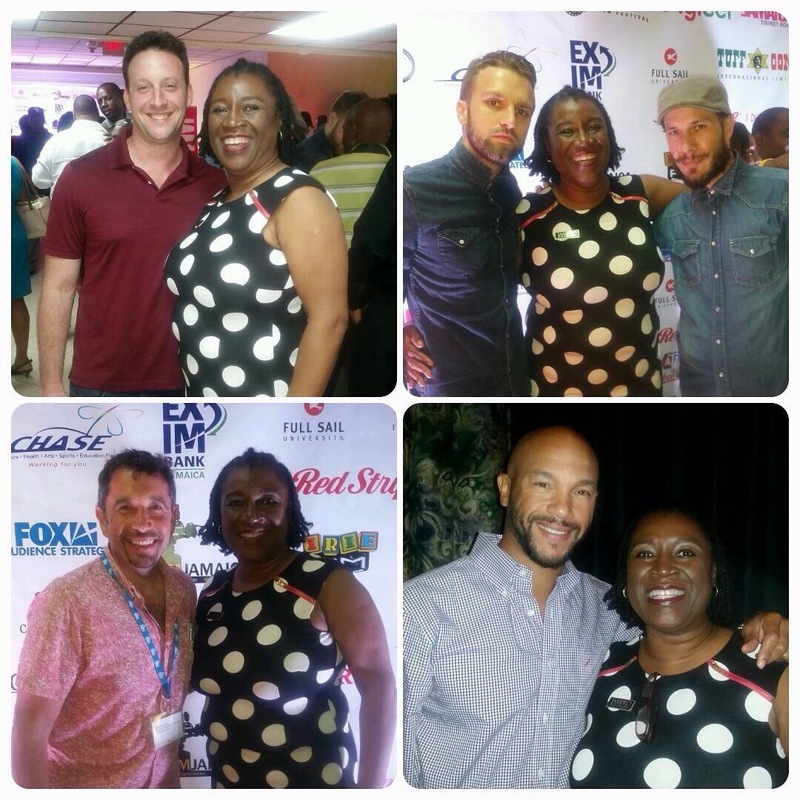 It gave me an opportunity to enjoy a night of Jamaican films and enjoy the company of friends. My only regret is that more friends who were equally interested in attending were unable to because of the cost. A film festival, especially in a region that does not have a strong market, should be aimed at creating and expanding a community of individuals interested in filmmaking as opposed to creating added barriers. My film was shown in a sports bar with patrons sitting at tables eating, some watching sports on other screens, the lights were not dimmed, there was talking and eating going on, you could hear the blenders mixing drinks, the sound was atrocious so that people couldn’t hear part of it. All in all it was an insult to filmmakers. I had suspected things were not all right from up front, when there was a level of disorganization about the preparations. 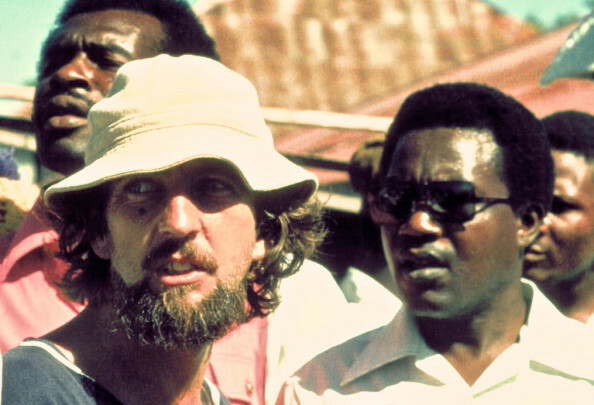 Established Jamaican filmmakers were ignorant about what was going on, and the organizers preferred to pay for foreigners to come down to hold workshops rather than use those more experienced Jamaicans who helped out in the preparation. It seems to have been just another exercise in the worst of Jamaica, which is croneyism and nationalistic and class bigotry….Come on Jamaica. You have a rich tradition in film, tremendous talent and experience residing in your country, which you have turned your back on. Come on, you can do better than that. Thirteen top Jamaican Directors/Writers have been selected by The Jamaica Promotions Corporation (JAMPRO) to screen their films at the Jamaica Film Festival 2015, scheduled to take place July 7-11 in Kingston. The list of filmmakers include well-known music video and film director, Gerald ‘RasKassa’ Hynes; award-winning writer/producer/director, Chris Browne; Theatre writers/directors/actors, Dahlia Harris and Aston Cooke; educator and producer Franklyn St Juste; make-up artist extraordinaire/director, Cecile Burrowes. The list also includes talented newcomers, Kyle Chin, Donovan Watkis, Sabrena McDonald, Audrey Williams, Kevin Jackson and Alison Harrison. Jamaican & Hollywood actress, Shauna Chin, who made her recent debut on CBS’ Criminal Minds, has also made the short list. The festival will include 15 pieces that will need a collective investment of US$200,000. Both private and public investment is welcomed for the 15 pieces. The project will create some 300 temporary jobs and will include Jamaican actors. Four months to raise funds for film-makers to produce films in time to be shown at the Festival? Really? Surely JAMPRO was jesting. Anyone could have told them that this was a completely unrealistic timeline. Instead eager young film professionals were strung along with promises of funding which partially materialized for some a week before the Festival, far too late for them to produce anything. Is this any way to encourage and foster film production in Jamaica, one of the stated goals of JaFF? What message are you sending young Jamaican film professionals with this kind of bungling? “Film industry benefits from film festival” trumpeted yet another JIS release portraying JaFF as the success it wasn’t. Reading the release reveals that the so-called benefit is “an opportunity for Jamaican practitioners to participate in FOX Audience Strategy Group’s Writers and Directors Intensive Programme”. This is laughable. This merely allows Jamaicans to compete with about 400 others for a place in the Fox programme. It would have been far better if JaFF had asked the Fox Audience Strategy Group to help them boost their workshop audiences if this is the kind of pitiful drop in the ocean JAMPRO is claiming as an achievement of their inaugural film festival. So in conclusion, one or two hiccups in a festival’s maiden edition are only to be expected, but there is no way a seemingly endless series of miscalculations and hubristic over-reaching should be overlooked or given a bligh by the public. In the wake of the recently concluded World Championships in Beijing, the outstanding performance of Jamaica’s golden athletes aroused a much needed discussion at home: why can’t the country replicate the successes of its atheletic team? How can the excellent example set by the athletes be applied in every sphere of life in Jamaica? Alas the discussions were all too brief, lasting no more than a day or two but in my opinion the JaFF is an excellent case study or illustration of why there is such a divergence in performance between our athletes and some of our national endeavours. Jamaican athletic success is predicated on raising the bar of human speed globally whereas national institutions such as JAMPRO are allowed to get away with setting the bar low enough to accomodate their own lack of expertise, knowledge and competence in the area concerned. The inevitably shambolic product that ensues is then declared a success and the mess covered up with the assistance of a compliant media that seems disinterested in asking the right questions or offering the necessary critiques. Jamaican athletes got to where they are today by following international best practice and then setting it. They perfected something they were already good at by working extra hard, competing against the best and responding to critiques of their performance. But you can’t excel at what you don’t know and what you’re not willing to invest the time and effort in learning. This is an elementary rule that is ubiquitous. When you blatantly and systematically flout that simple fact you’re not going to achieve even a millionth of what Jamaican athletes do–the inaugural JaFF could have been launched with a lot less fanfare and a lot more substance, and that is just the plain and simple truth of the matter. Every word is true. IOJ had actually advertised a Stuart Hall doc screening last year but it never happened either. They also did not tell attendants until we arrived. Thank goodness Nicole’s curated exhibition was on at the law firm next door. Thanks Akilah, you’re right. I was behind that too meaning that I proposed the screening and for a lecture on Hall to be given by David Scott (Columbia U) at the Institute of Jamaica (IOJ) but alas the Ministry of Culture couldn’t get the ticket for Scott ready in time and when he backed out when the ticket didn’t materialize when it was supposed to, they had to cancel the screening because they were relying on Scott to bring his copy!! They couldn’t be bothered to buy a copy for IOJ apparently. …at a loss for words, really. Not even patty shop. In the main spot on Annie, and it’s about damn time somebody said this out loud. I’ve heard many of these comments but I was away and so Susumba didn’t cover it, and none of the film people I approached were willing to go on the record. Ignorance is not always bliss and JaFF proved this. Despite the Commissioner’s insistence whenever asked that they were getting help from TTFF and TIFF that did not appear to pan out. Where you’re slightly off though is that 1) Jamaica isn’t late to the film festival game, we’ve just been unable to sustain it, in large part due to absence of infrastructural support. Though it wasn’t the first film festival we had (Blake Hannah always mentions her pioneering Jamaica Film Festival) the Fire Fly Film Festival pre-dated TTFF (I think) and helped to launch Storm’s career and the eventual formation of New Caribbean Cinema. and 2) It isn’t so much that the Jamaican film community turned their backs on the film festival, but rather that their input was not invited. Hey Tanya, thanks as usual for your comments…actually i’m very aware of the other attempts to mount film festivals, more than Barbara alone, there was also one in Negril, but deliberately didn’t mention them. I’m deliberately raising issues in regard to JaFF because its the first OFFICIAL attempt to mount one using public resources and monies and that makes it the public’s business. So when i say that Jamaica is entering the game late I’m not talking about private efforts that happened but a decision on a governmental level to have a full-blown film festival. It’s rather late in the day to be doing that. Then we change our comment to just spot on! You’ve highlighted so much of what was glaringly wrong with the festival. What I also find interesting is that no one questioned that this supposed film funding did not materialize and the other claims that simply are not so. Subsequent to the festival, the Commissioner also claimed that the the JaFF was responsible of the creation of the new Film and Television Association, when the two were completely unrelated. Thank you for writing such a thorough piece. It was truly eye-opening. I wish we had more journalists doing this kind of work. How many other projects are being touted as success stories, but are merely wasting taxpayer dollars? Mention not 🙂 and thanks for commenting. On your question you really have to wonder. What i find is that if its a politicized thing then the media covers it, and opposition tears it to bits etc but in matters cultural people are getting away with murder with virtually no media scrutiny at all. Thanks for posting about this, Annie. During the run up to the Festival and as it began I realized, even from my vantage point of #farrin, that something was really off with how the Festival was unfolding. Why were there SO many Hollywood types? And why was so much being made of them appearing vs. the films being shown? Why weren’t folks like Storm tweeting up a storm about it or on a panel to talk about upcoming projects to/and seek funding, drum up support? Why wasn’t there a tour of the much vaunted movie-lot-to-be in St. Thomas? Why on earth were there so many photo ops? I know the snazzy launch and phot op are par for the course in Jamaica these days, but I was still appalled that these were the focus of the product Jamaica was offering. I attend the DC Film Festival so even without film business experience, I know what one is supposed to look like, and a zillion workshops, seminars, and pricey events or glitzy parties are not it. Aside from a glitzy opening night cocktail party or a few directors or actors showing up for post-film Q&A, even a political bubble, not-quite film town like DC manages to center its long running and respected festival on FILM. And a good diverse slate of films at that. To say I’m bothered by how this first official Festival unfolded is an understatement. A bit sad too…but I find this yet another in the line of brazen things happening in Jamaica that boggle my mind and about which I’m unable to muster the outrage. I feel indifference settling in and that’s most worrisome of all. Hey Cuke, thanks for your comments, you capture all the things that were so wrong with this whole venture, yes I didn’t even mention overdose of PR shots, the festival had little to show for itself aside from that sort of rather old-fashioned hype…and as someone pointed out its not as if it was Shonda Rhimes or any of the real biggies to generate so much excitement…sigh i don’t really get it…just didn’t think it was right to remain silent about some of the more farcical aspects of it all. Hi Annie Paul, my anger and frustration grew with every word I read in your blog. As a filmmaker who celebrates Caribbean excellence ( Poetry is an Island, Derek Walcott) it is even more angermaking, not only because of the hardships we have gone through to make the film, but also because one feels that the work is not treated with respect and care, but above all as an accessoire. I’m both sorry and proud to read this blog. Sorry for Caribbean filmmakers and the public, proud of the courage and expertise it took to write it. So : thank you! Curious to learn about feedback on your blog from their side. Ida Does, Director and Producer of Poetry is an Island, Derek Walcott. Hi Ida, thanks for your response, very special coming from the director of one of the featured films that was shunted to a time when few were able to watch it. 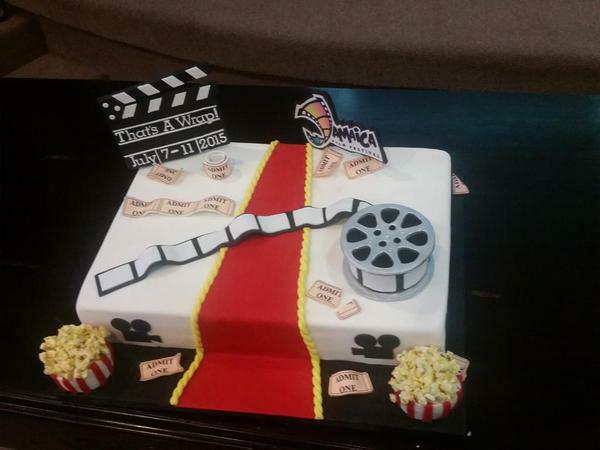 Yes alas films were treated almost as props in this strange pretence at a film festival. Predictably so far no feedback from those concerned but honestly can’t say I expected anything else. Nothing will change except that this blog will show that the JaFF was not the success it was portrayed to be, far from it. Crucial update. Bless & thanks. What a sham; and at public expense! Inexcusable. Thank you Annie Paul for your incisive examination of the Ja Film Festival. You were ‘spot on’, as they say. Permit me to add a correction in your report. The real father and pioneer of film in Jamaica is Martin Rennalls (now deceased) who headed the Jamaica Film Unit in1951. The late and great Perry Henzell came many years later when in the early 60s he was involved in the start of Vista Film Productions. Actually, Perry spearheaded and directed the installation and closed circuit television transmission of the Independence ceremonies at Gordon House in 1962. It was very unfortunate and a complete let down for those of us who were chosen,to not receive funding to produce those films which would have been shown at the Festival. We, the producers wrote to JAMPRO in April to ascertain the status of funding but were told in a written response that that would not materialize. I waited until “Poetry is an Island. Derek Walcott” was shown very, very late that night. I did not regret it as Derek is a personal friend of mine and Ida Does did a fine job. Thank you so much for this correction Chappie, this is exactly what’s needed. For people to fill in the blanks and correct errors. It makes the post that much richer. As with any event, proper planning is a necessity. Not just the big photo opps moments, but all the nitty gritty, not so glamorous moments (those actually are the ones that can make or break the event). So sorry that it did not come off as it should. Hopefully the powers that be will go back to the drawing board, put together a planning committee with the know how and wheel and come again. Thank you Horane, testimonies from those like you who participated in JaFF and were so disrespectfully treated is precisely the sort of info we need to collate in order to ensure such a travesty never happens again. How can the Jamaican govt allow such sheer contempt and ignorance to pass for a film festival? Where oh where is the LIKE button???? Unbiased reporting from Annie Paul – thank you for your excellent piece and for the sensible comments that followed from others. Thank you very much Annie for this extensive and explosive report and comments. As one who offered to be the film curator for an event sheltered and expanded by JAMPRO, I can only say THANK YOU and JAH BLESS!!! I came from the US to attend this film festival. Firstly, my JAMAICA still feels that only VIPs must be invited to the opening reception in its ongoing exclusivity quest. Secondly, the Festival focused on film-making with experts mainly from the US. There were no reps from all the other burgeoning film industries, namely, Bollywood and Nollywood. We are an island and we are never going to be the mainland…get with it!! We have to create our own solutions and excluding filmmakers from these two successful industries who are already marketing their movies online like Netflix cannot be ignored. Additionally, films were just cancelled without notice to the audience and not shown as noted on the schedule and no apologies! This was a mediocre event. To build on the failure of this effort of Government support for an event that is intended to expand economic, production and distribution opportunities for Jamaican film and film makers, I recommend that the Government now appoints a special committee to organize the next national film festival. Persons on this committee should include (1) representatives from the professional film makers group recommending the training and seminars they feel needed and the national and international speakers they would like to hear from; (2) someone with good international film connections to link the event with Caribbean, African and Independent film makers (links with the Los Angeles Pan African, the Trinidad & Tobago and the Caribbean Tales Film Festivals would be useful); (3) a good show biz event organizer experienced in bringing the ‘stardust’ associated with film festivals, to organize its staging, design, advertising, promotion and programme, and (4) a small sub-committee of experienced members of the film industry to select the films to be shown, basing their choices on the potential appeal and relevance of the films to Jamaican audiences. If this is done, drawing on only the BEST of all options possible, bearing in mind the vast budget available and, moreover, the fact that the private sector will be more likely to add their support when they see a united government/industry collaboration, then we will have a sparkling and useful film festival. Thanks Barbara I hope the right people see your comments. Thanks for this fine report Annie. Let’s hope that our policymakers/powers that be take heed. Thanks for your comment Wayne, i hope so too. Previous Previous post: Will the Gleaner RJR deal restrict consumer choice?